Last week, I introduced the “How to Be a Dream Chasing Realist” blog series, in which I’ll break down a list of actionable steps you can take to help move you toward your dream (be it a new job, starting your own business, etc. ) without neglecting your everyday obligations and responsibilities. Step one in this process is getting your financial house in order. They say money can’t buy happiness, but it can limit our ability to make major life changes. Even if you don’t anticipate money being an issue, it’s better to be prepared if things don’t go as expected. Start saving as much as you can. It’s always good to have a little financial breathing room, but it’s even more important when making a major career or life change. You’ll sleep easier knowing you’re financially prepared to make the transition when you’re ready. Start by setting aside a small percentage of your monthly income into a reserve fund. You might even consider having it directly deposited into a separate account so the process is automatic and you’re less likely to spend the money elsewhere. Take a close look at your monthly budget (or create one if you haven’t been using one). Financial guru Dave Ramsey is a huge proponent of creating a monthly budget as a way of intentionally spending your money and proactively “telling” it where to go (including the separate savings account we discussed above) as a means of reaching your financial goals. If you already operate with a monthly budget, it might be time to identify a few areas where you can cut back. This may include things like canceling cable, dining out less, buying generic brands, etc. Which leads me to my next point, start thinking about what you really need. Start thinking about needs vs. wants. You need a car to drive the kids to school, get to work and run errands. But do you need that big SUV that not only costs twice as much as another car that would have done the job just fine, but also costs more in gas? You need the car, you want the SUV. In this example, you could put the cost savings of the car as well as weekly gas savings in your “dream big” savings account. Be honest and consider these trade-offs carefully. If you have a family, it is important to consider the impact to not just yourself but also others. Truly understand your financial situation. I have been surprised, talking with friends, colleagues and clients, about how many women are in the “dark” about their family finances. If you’re in a committed relationship, it’s important to talk to your partner about money. You should be on the same page about what your financial situation, needs and goals are. Get educated, and get involved. This might mean having some difficult conversations. Especially if things are tight, and particularly when it comes to leaving a life that’s comfortable to make the necessary sacrifices to realize your dream. You’ll need to be on the same page about what a decrease in your income may mean. As difficult as it may be, never lose sight of the fact that you’re in this together. As you look forward to your new career, be realistic with your income expectations. For me (and probably 99% of people transitioning from a “secure job” to an entrepreneur path) it takes a while to make money…at least the amount you had been earning or want to be earning. 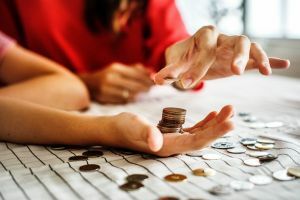 The budgeting and saving you’ve done up until this point will ideally help bridge this gap, but be conservative with what you expect to earn with your new gig and plan accordingly. And speaking of plans, it’s important to have a Plan B in place. If things don’t work out financially, or your business doesn’t take off as quickly as you had hoped, think about how much time and debt you are willing to take on before seeking part-time/supplemental income. Keep in mind that taking on a part-time role does not mean you have failed. It means you are supplementing your dream with some realistic financial support. A prudent and wise thing to do. Be careful of debt. It’s easy to say “you have to spend money to make money” but it can be easy to get in over your head. Be very careful of taking out loans and borrowing money. Everyone’s situation is different. Some people (the lucky few) take that leap and start making money hand over fist. But in most cases, it takes a while. For me, it took three years to get where I felt I could take the leap financially. It meant selling my house and making changes to my lifestyle. It meant having some hard conversations with my spouse about what we could afford, and what life might look like after I quit my “day job”. Just remember why you started you down this path in the first place. Your desire to pursue your passion and do what you love. True greatness rarely comes easy, so dig in and build a strong foundation. You’ve got this! 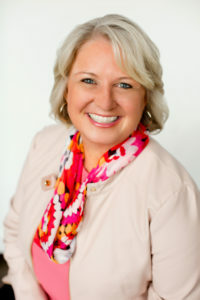 Dorene MacVey is the owner of ithrive31, LLC A Coaching and Personal Development Company. ithrive31 offers leadership and professional coaching along with personal development programs to help individuals live a thriving life in their workplace and in their home.